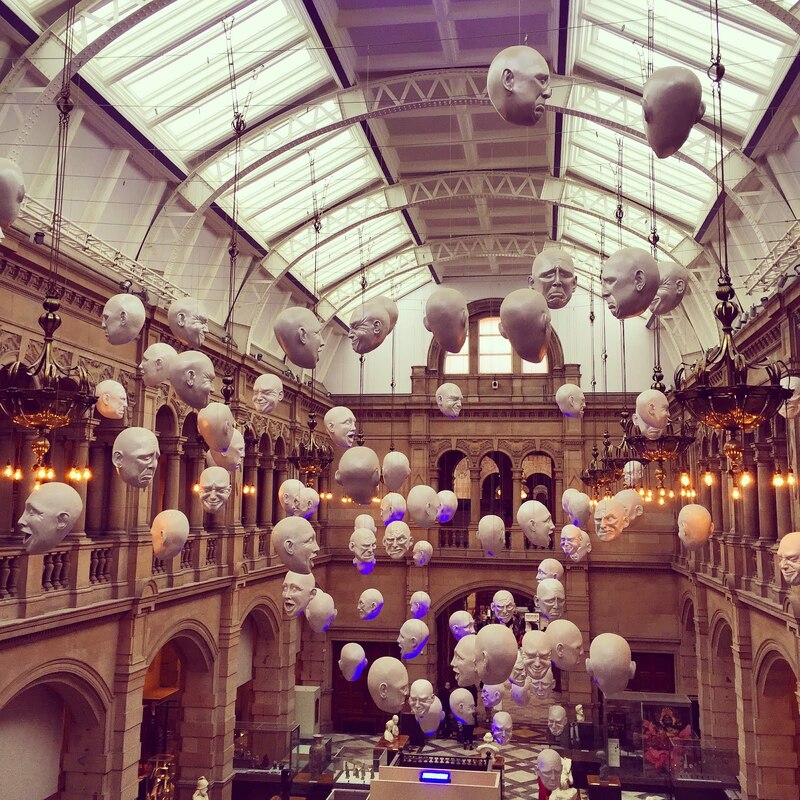 A Weekend in Glasgow, Scotland - Things To Do in the City. Bread Meats Bread // We had heard a lot about this restaurant and after not one, but three recommendations from Glaswegian friends, we knew we had to check it out. Boy oh boy, what a shout. This meal was epic, seriously really enjoyable - the kind of meal you wish would never end - kind of enjoyable. I attempted the Wolf of St. Vincent Street, whilst Owen tackled the Pepperoni Burger. Thanks BMB for living up to expectations - it's an awesome burger joint that did not disappoint. 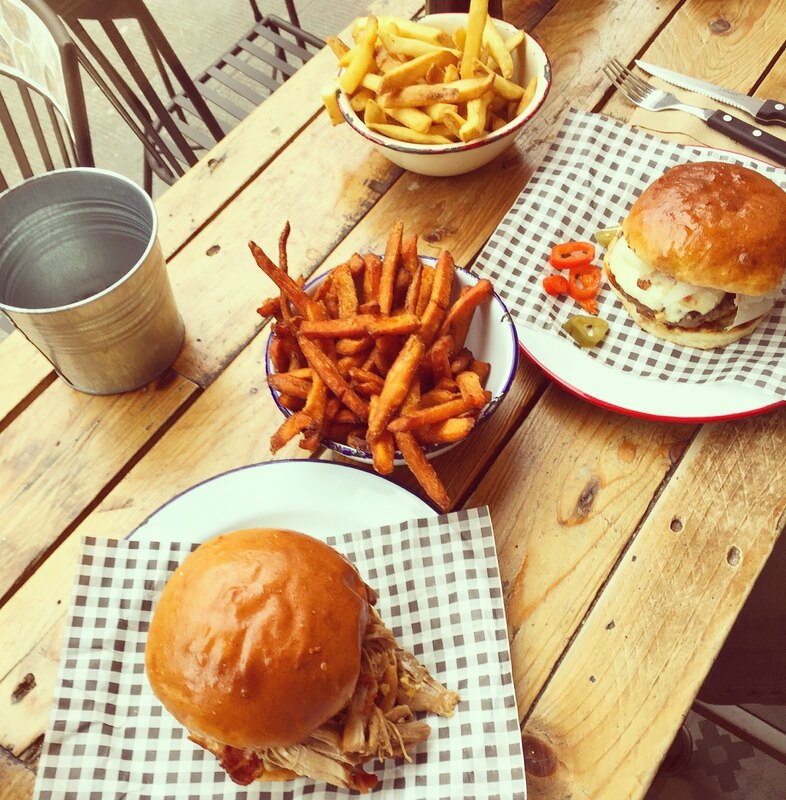 We are already planning our next trip to Glasgow just to try another meaty creation on the menu. Kelvingrove Gallery // classic tourist spot when visiting the city and we were staying nearby so fancied checking it out. The gallery features a museum, cafe and shop, so there is lots to see and do to keep everyone entertained. We personally loved the ancient Egypt and Wild Animals exhibition of the museum and of course, Sir Roger, the huge stuffed Elephant. It's always enjoyable taking in the lovely art on display and it was well worth the visit. Byres Road //After leaving Kelvingrove, we knew we were near to Byres Road, a fantastic shopping spot for locals and tourists alike. We explored the various shops and boutiques until our feet started to hurt. The classic and slightly predictable Glasgow rain started to pour down and we decided to take shelter in a Pizza Express. 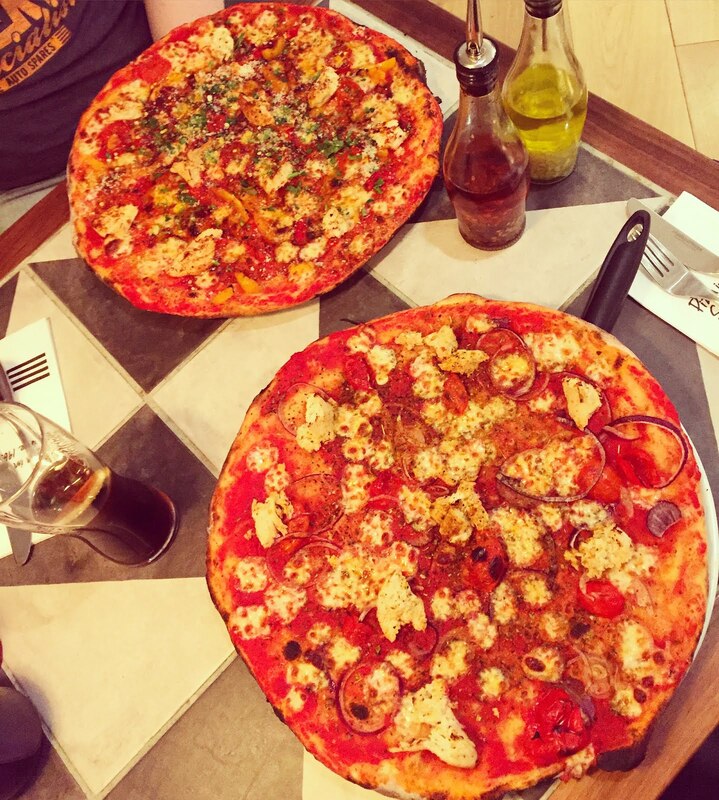 I know when people visit a new city they should try and stay away from chain restaurants that you can eat in at home, and experience something new, but honestly, you can't go wrong with Pizza Express. It's one of my favourite chain establishments and the food is damn tasty. Botanical Gardens // After another epic meal, the rain had stopped and the sun decided to show it's little face. With the botanical gardens just around the corner, we decided to explore the mini jungle before we had to rush off and catch our bus home. 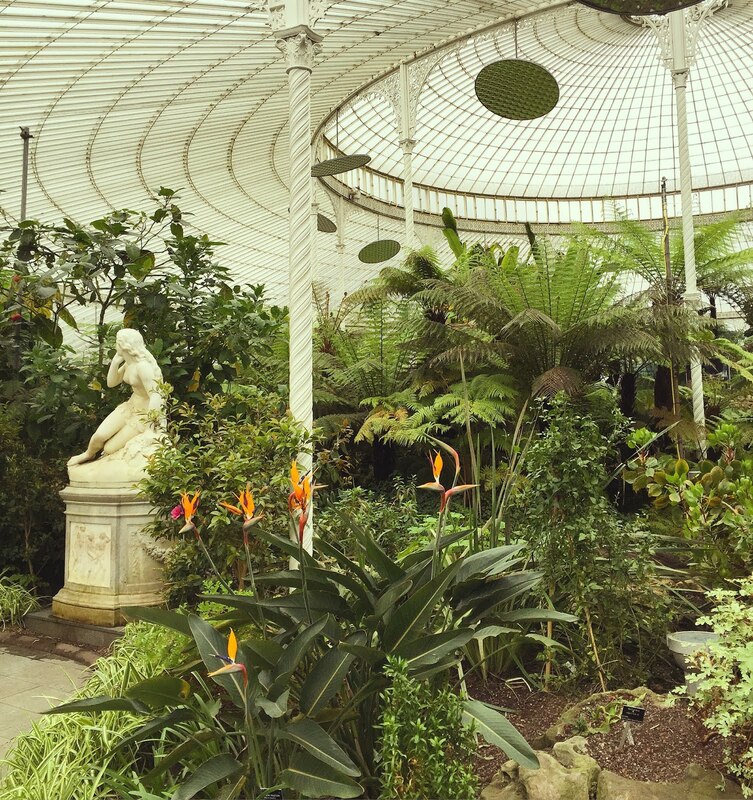 There is nothing quite like exploring nature and the 'deadly plants' room is worth the visit alone. The hot, greenhouse atmosphere was a lovely place to rest the feet and watch the little fish swim about in the pond. Have you been to Glasgow before? What would you recommend for our next visit? Amazing photos. Such a nice place to visit! stay inspired! Oh what a wonderful post! <3 I will definitely keep these places in mind for my next time in Scotland. And btw your pictures are so beautiful! I haven't been to Glasgow since I was little, think I definitely need to make a trip to visit Bread and Bread...looks so tasty! Never been to Glasgow before but it looks and sounds great! I love the new blog makeover, looks gorgeous! those floating heads are so cool. Looks like a perfect weekend for me. This post of giving me such a sense of wanderlust! The activities look so lovely and the food looks absolutely delicious. Aww, man! Now, I want to go to Glasgow! just for that food alone! lol... I love those hanging heads...reminds me of Doctor Who!!! And that botanical garden...so lush. I love it. What a great post. Journey to Stornaway, Isle of Lewis in Scotland.